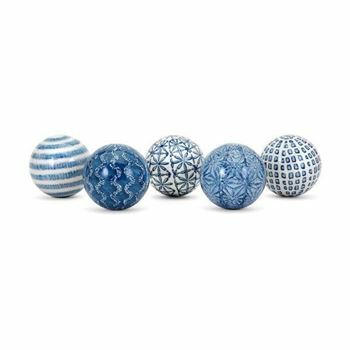 Barrett Spheres with coastal-inspired prints, patterns and colors. Perfect decorative fillers for bowls, vases and trays. Each orb is unique, yet they omplement one another. Each orb is Ceramic.